Apr. 4 (NBD) -- Accumulated discontents of China's programmers over the inhumane working hours finally resulted in a breakout. On March 27, a repository named 996.ICU was sent to GitHub, with words "996 working, ICU waiting" written at the top of the page. By comparing the unofficial "996 work schedule" (from 9am to 9pm, 6 days a week) with Chinese legal provisions, the person made an appeal that "developers' lives matter". The program generated empathy with numerous programmers and has gained 173,756 stars so far. On GitHub, the quiet confrontation between programmers and companies continues to escalate. On Wednesday, the page has added subtitle "License" to offer Anti-996 License and "Related reports" which listed articles from news media. The project gained around 20,000 stars within the day. By contrast, Internet companies responded in crude way. The website is found blocked by a series of domestic browsers including QQ browser, 360 browser, Sogou browser from Wednesday morning. Besides, the founder of the 996.ICU is pushing famous codes on GitHub to join the project, a programmer told news outlet All Weather TMT. If a famous open source code join in the certificate of the repository, then companies that use the code must comply with the protocol, which means they cannot adopt the 996 workweek, said the programmer. China's Internet industry has been the sector posting the most overtime hours, a traffic report released by AutoNavi in 2016 showed. Employees of the top 10 Internet companies work overtime for at least 3 hours and generally clock out after 21:30. The 996 work schedule has been widely adopted by Chinese Internet firms in recent two years, some of which are extended to "997", "9117" or "007" during urgent project period. The long-drawn-out work left little spare time to programmers. In fact, as overtime has long been the convention for IT workers, the 996 schedule was not protested in the beginning. 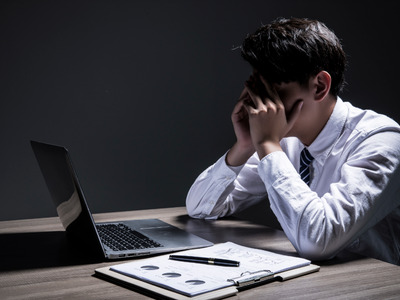 In 2014, the overtime rule was initiated among the R&D teams who worked on crucial projects and the public's attitude towards it was almost positive. Someone commented that such work schedule is normal for strivers. "Efforts may not lead to success, but success requires efforts." However, one to two years later, such overtime working became the daily routine of Internet practitioners. Consecutive projects force teams to work till the wee hours, Fang Li, who worked in the human resources department in an e-commerce company, recalled. According to the company's policy, those employees can go back to work at 1 or 2 pm the next day. This forms a vicious spiral for living and consequently leads to physical deterioration. Qian Xiaoqun works in tech behemoth JD as a programmer after graduating from college. One weekday afternoon, Qian was taking the elevator to his office. "Four bald heads were shining in the elevator. I really wanted to take a picture," he said, laughing as he depicted the scene. "Programming makes baldness" sounded like a joke when he was a student. Now, witnessing the spread of balding trend from one office to another, he realizes that this is a fact, which could be his future. Gu Ming, a leader of the R&D segment at a small-sized e-commerce firm, attributes programmers' hair loss to high concentration and long hours on the computer. "Programming requires cautiousness," Gu explained. "For example, if '&gt;' is misspelled as '&lt;', the result will be completely different."